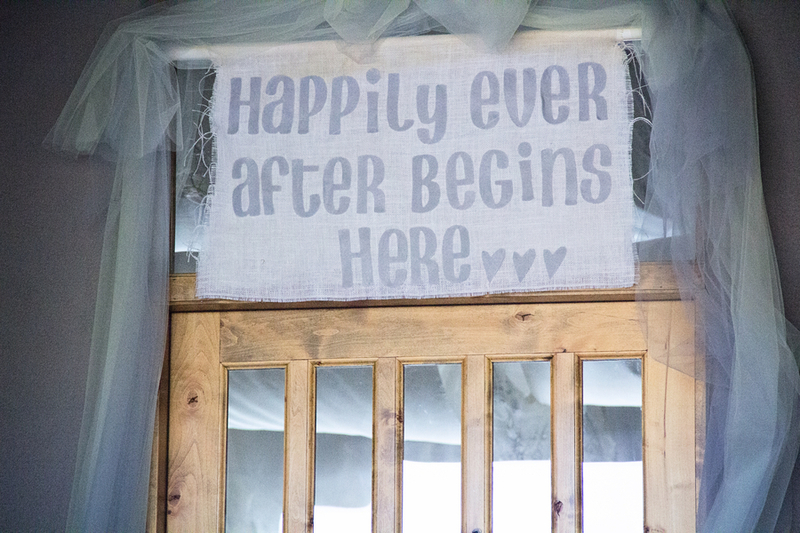 What could be more meaningful than having your wedding at the Groom's childhood home?? 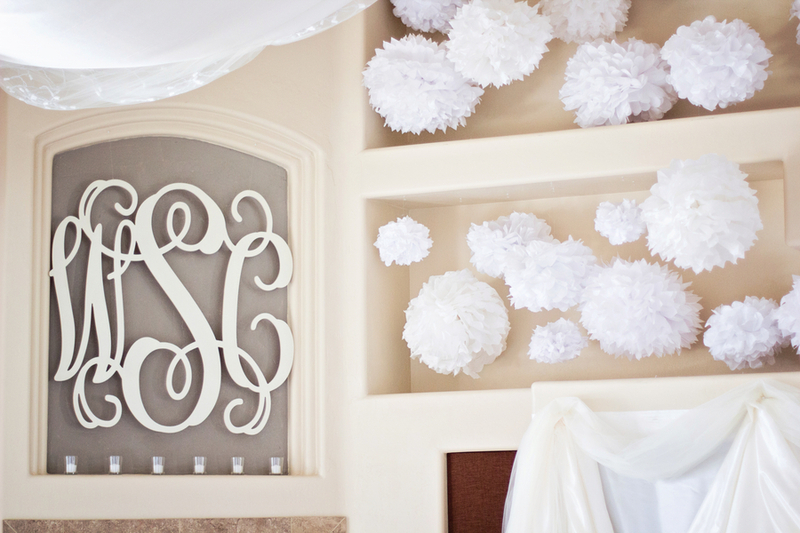 It's really impressive how the couple was able to transform the home into a beautiful wedding venue. 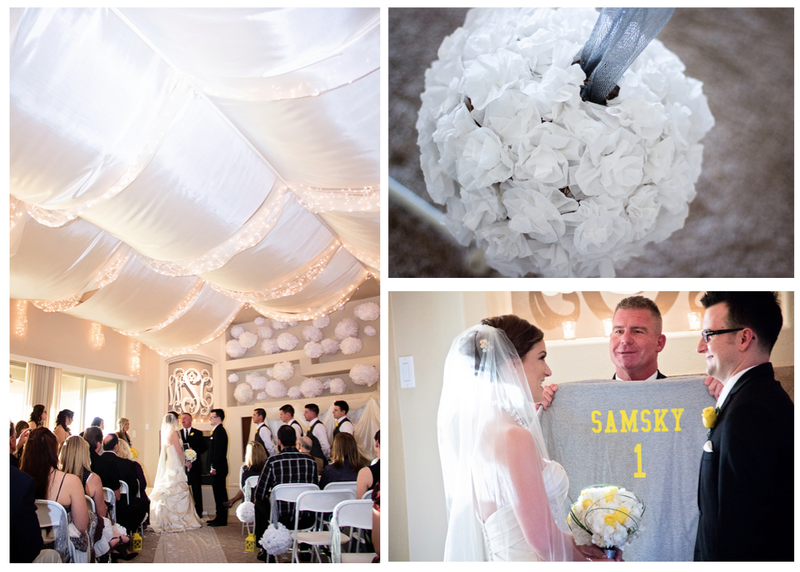 The ceremony was extra special as the Groom's father also doubled as the Officiant. 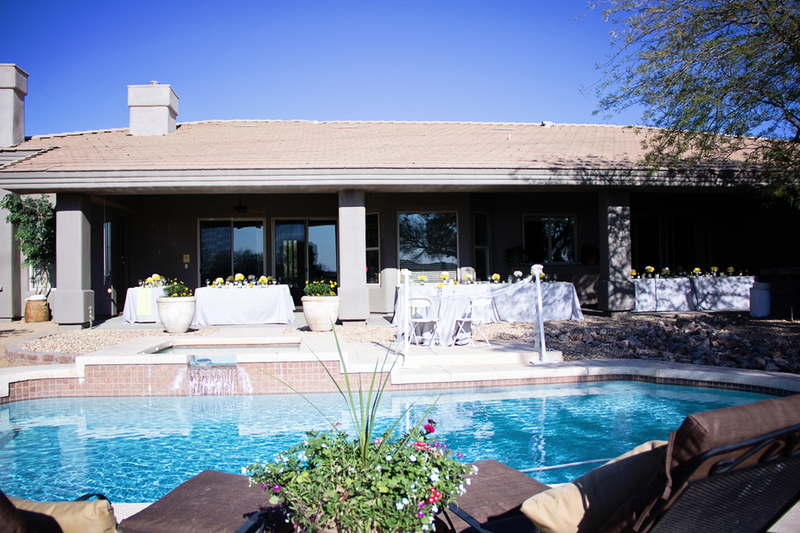 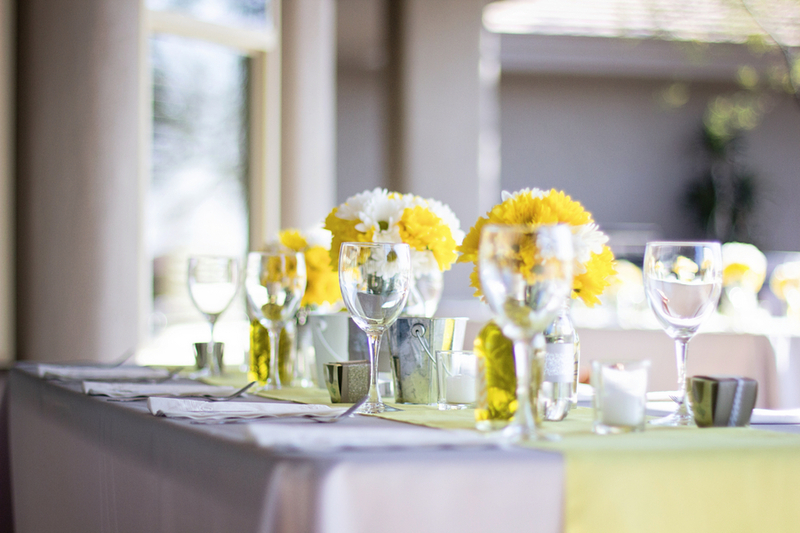 The yellow and gray color scheme complements the Arizona surroundings beautifully and also serves as great inspiration for Summer parties. 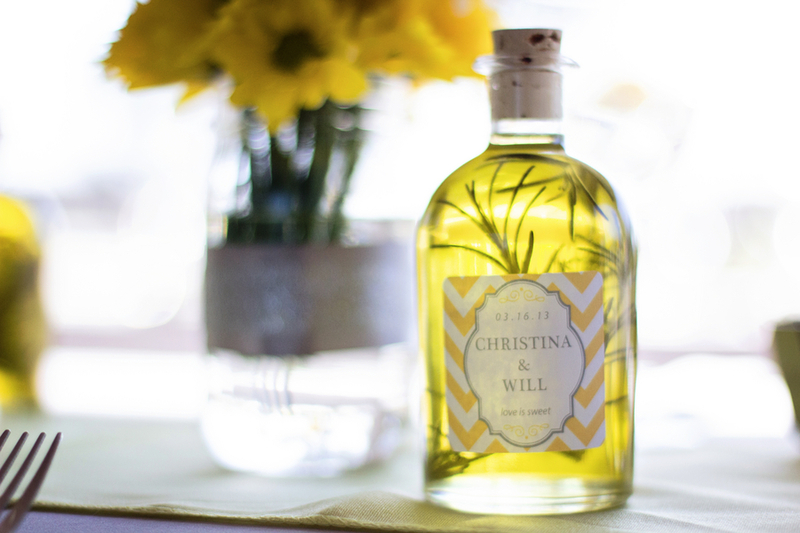 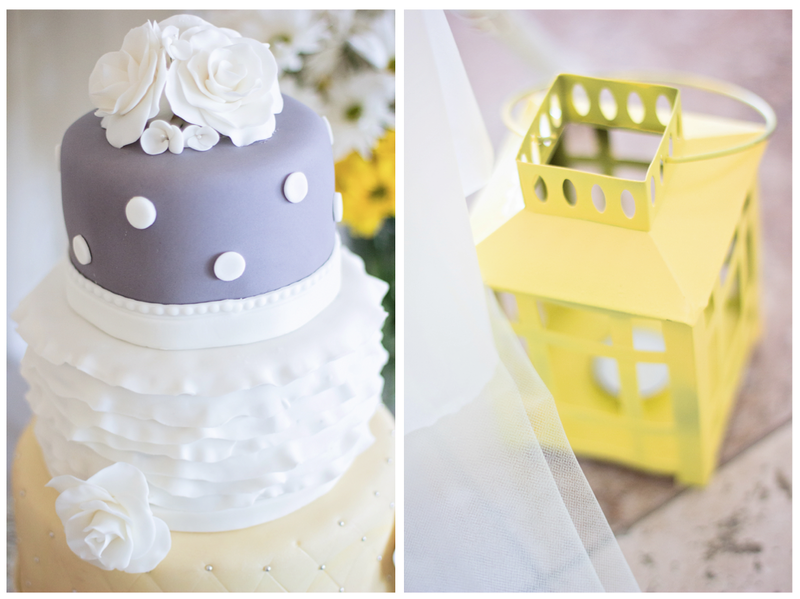 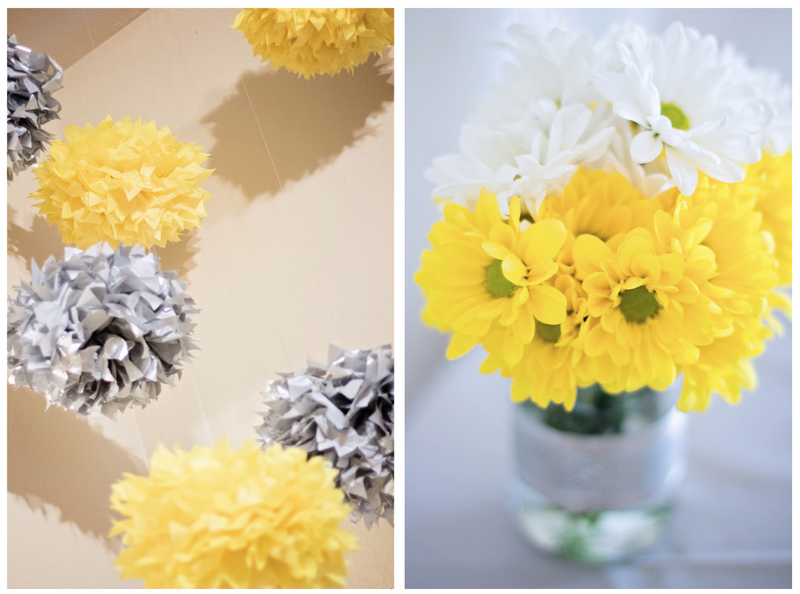 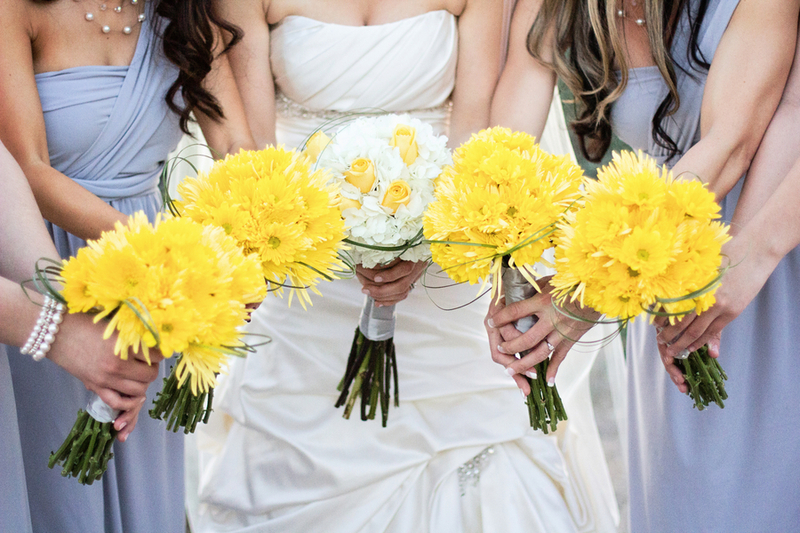 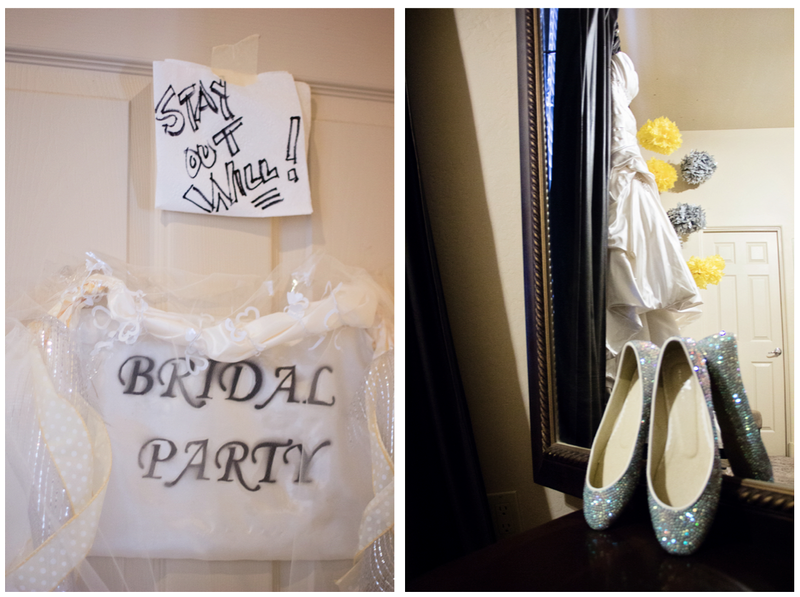 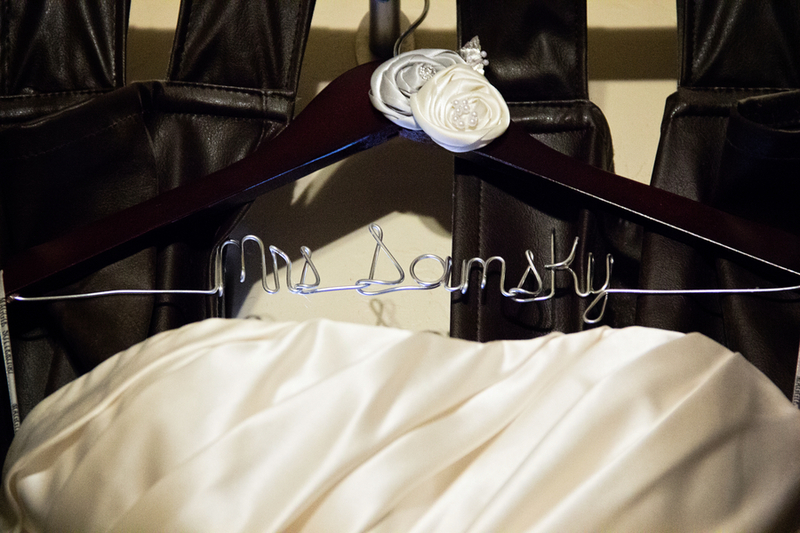 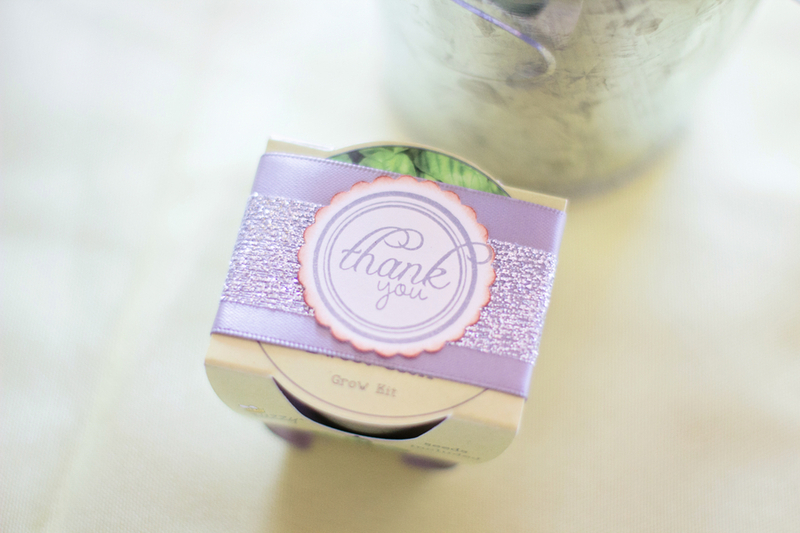 Thank you to Anna Marisol Photography for taking and submitting the lovely details. 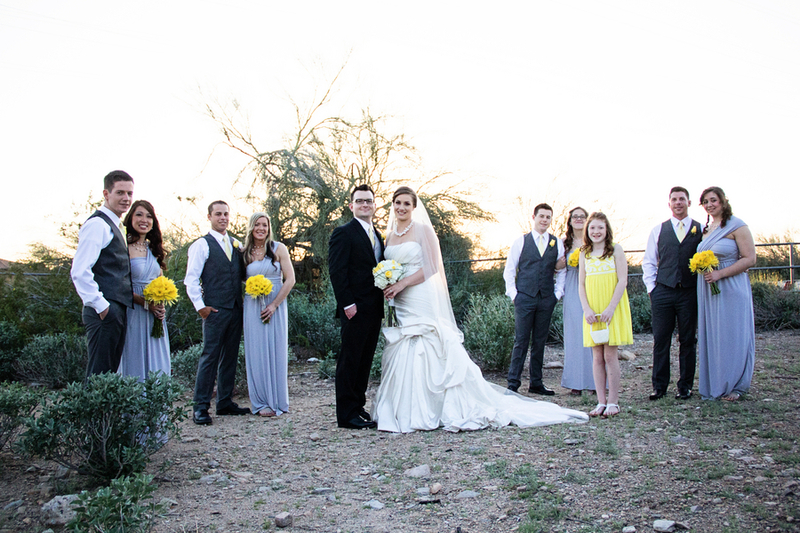 Such a warm and charming home wedding! 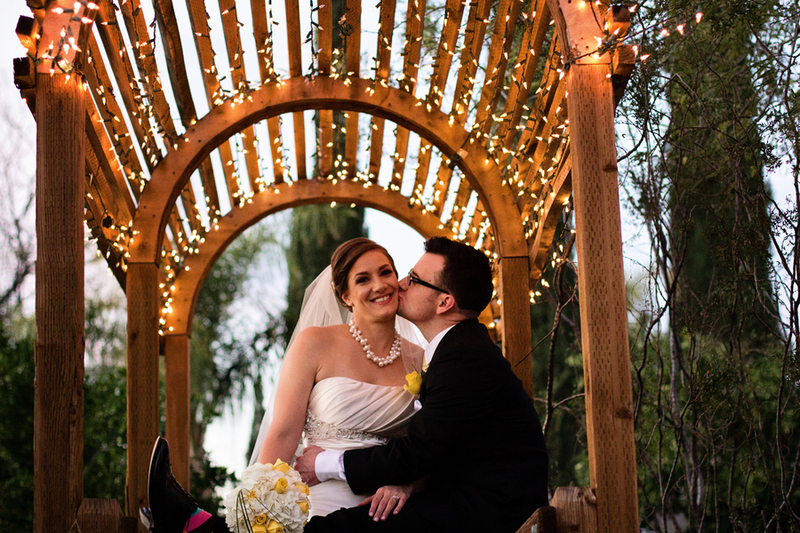 Love the trellis and the color scheme.